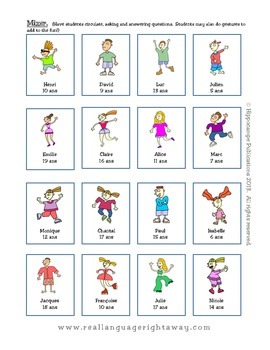 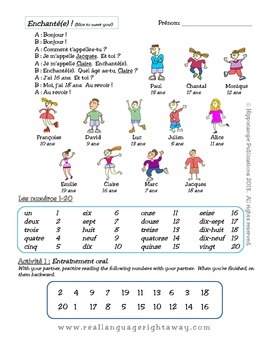 Give your students the tools they need to communicate right away en français! 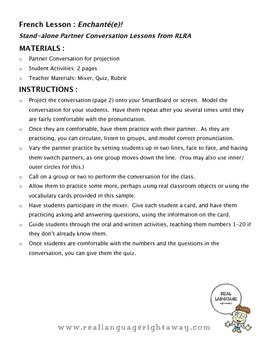 This is a complete stand-alone lesson with student activities, teacher instructions, a speaking rubric, and a quiz! 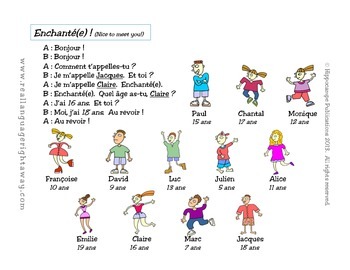 It includes age, name and numbers 1-20.